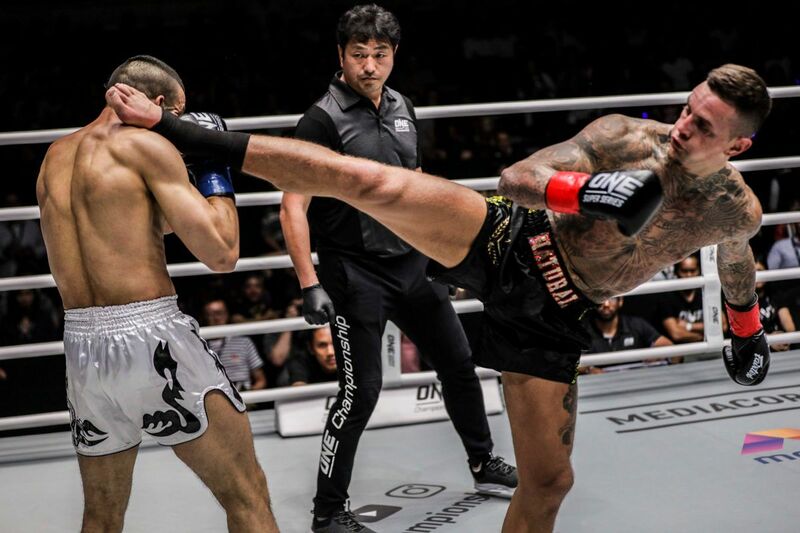 Muay Thai action may make up the main event of ONE: FOR HONOR, but grappling fans in Jakarta, Indonesia will have plenty to get excited about during the undercard. 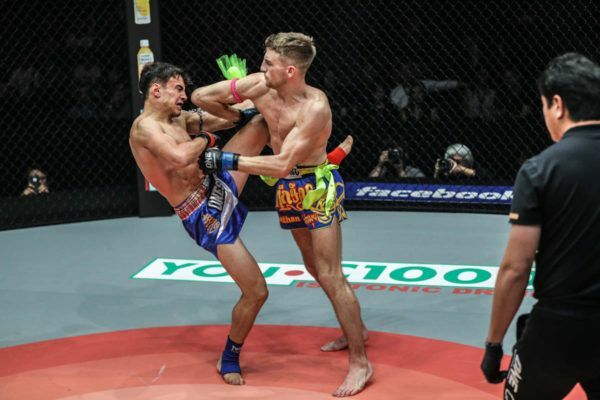 Before the ONE Flyweight Muay Thai World Title bout between Sam-A Gaiyanghadao and Jonathan Haggerty takes place on Friday, 3 May, there will be a stacked schedule of mixed martial arts match-ups. The athletes set to take part in these contests include several ground-game specialists, as well as some well-rounded competitors, who are adept at finding finishes by way of submission. Here are five of the best stoppages from some of the athletes who might mix things up on the mat in the Istora Senayan. 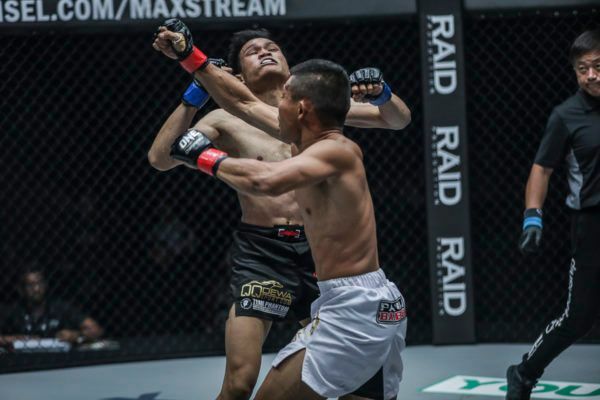 Kiamrian Abbasov put in a career-best performance against Agilan “Alligator” Thani at ONE: DESTINY OF CHAMPIONS, as he dominated and then submitted the rising Malaysian star in front of his home crowd. Abassov rocked Thani with strikes and kept up the pressure with his wrestling. He took “Alligator” down with a body lock, and when he tried to post up to work back to his feet, the Kyrgyz warrior seized the opportunity to take his back. With one hook in, Abbasov threw on a tight rear-naked choke, and then fell backward to secure the position and put on a bout-ending squeeze to silence the fans in Kuala Lumpur, Malaysia. The win thrust the 25-year-old into the ONE Welterweight World Title picture, and he has the chance to make a strong case to get a shot at the belt if he can defeat Yushin Okami in Indonesia. Jakarta’s own Priscilla Hertati Lumban Gaol dominated Krisna Limbaga from the opening bell with her superior clinch and grappling game at ONE: QUEST FOR GOLD. Limbaga did not make it easy as she fended off her rival’s early ground offensive and worked out of some tough spots to find a way back to her feet. However, “Thathie” hit a hip throw takedown just moments later, and this time, she did not give her rival a chance to escape. Lumban Gaol quickly sliced past her opponent’s half guard into scarf-hold side control, and immediately looked to isolate her opponent’s left arm. She used her hands to stuff Limbaga’s limb between her legs with her bottom leg acting as a fulcrum to attack the elbow joint, and her top leg putting downward pressure on to the now-extended arm. When Lumban Gaol pinched her knees, the Filipina was forced to quit and give Lumban Gaol the second of her five wins last year. The 30-year-old will return to action in her hometown on 3 May against Cambodian Kun Khmer World Champion Nou Srey Pov. A beautiful transition, another outstanding performance. Yusup “Maestro” Saadulaev secured one of the fiercest submissions in ONE history when he met Jordan Lucas at ONE: STATE OF WARRIORS in Yangon, Myanmar. The Brazilian Jiu-Jitsu black belt put his grappling skills on show as he dominated the Aussie on the mat, before he secured a memorable finish. First, “Maestro” secured a seatbelt grip and walked up the fence to spring out to his opponent’s back. From there, he skipped the back-take and went straight on the attack for the submission. Saadulaev secured his right arm under Lucas’ neck, and he clasped his left arm under the left armpit. The Russian featherweight dropped his shoulder behind his rival’s head and combined that forward pressure with a suffocating squeeze. The result was a remarkable combination of a rear-naked choke and a neck crank that forced a rapid tap. 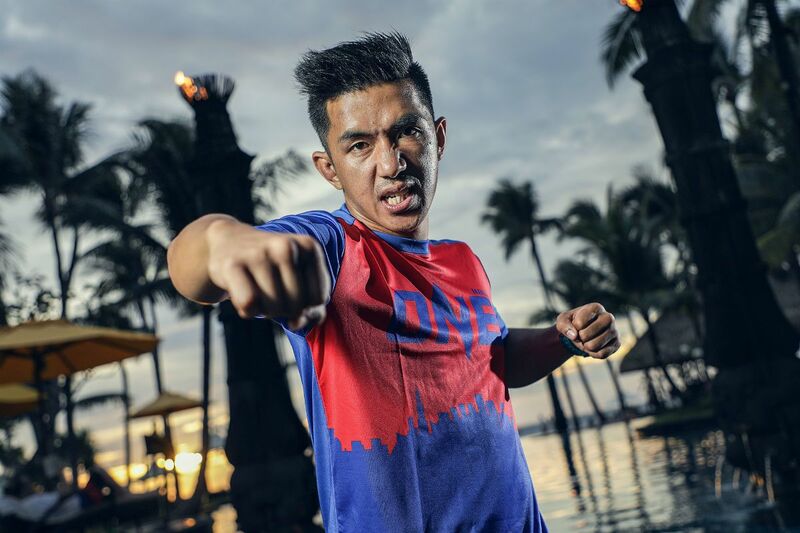 We have not seen much from Saadulaev in the past year, but he will be back with a bang at ONE: FOR HONOR when he renews his efforts to climb the featherweight ladder against Thanh Le. Keanu Subba makes a HUGE statement in the featherweight division, submitting Phoe Thaw with a guillotine choke at 2:47 of Round 1! 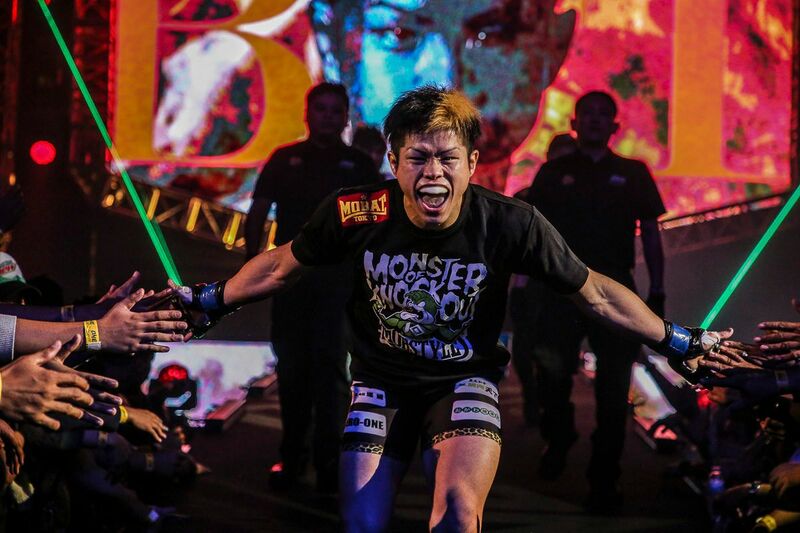 Keanu Subba showcased his relentless ground offense at ONE: PURSUIT OF GREATNESS when he blended his striking and grappling to hand Phoe “Bushido” Thaw the first defeat of his career. When the Malaysian landed hard punches, he forced Phoe Thaw to try and work to his knees and escape, right into his trap. As soon as the Myanmar hero turned, Subba wrapped his right arm around “Bushido’s” neck to set up a guillotine choke. To finish, he drove his left knee into Thaw’s solar plexus to pin his body, and cinched up his grip to put on the squeeze. With no room to escape, Phoe Thaw had to tap. 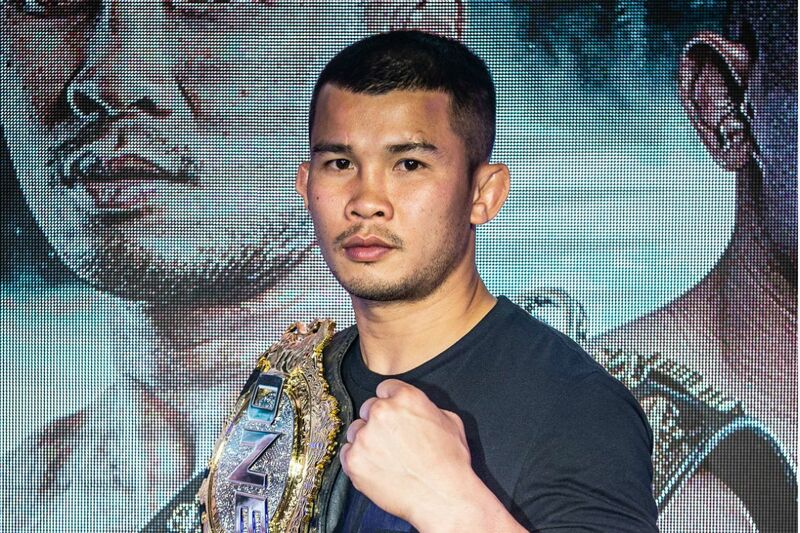 Subba may need to dip into his well of submission offense once again to counter the striking threat of Japanese knockout artist Ryogo Takahashi at the Istora Senayan. The "Papua Badboy" Adrian Mattheis submits Aziz Calim with a NASTY guillotine choke at 0:57 of Round 2! 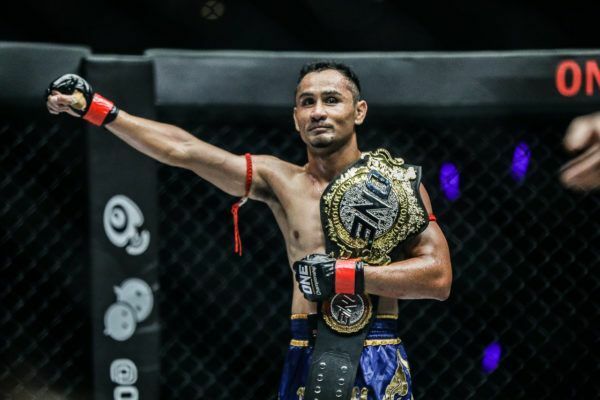 Indonesia’s own Adrian “Papua Badboy” Mattheis set the record for the most victories (7) and most finishes (6) in the history of the ONE strawweight division with an off-the-cuff submission win over Aziz Calim at ONE: WARRIOR’S DREAM in November. The Indonesian is known for his heavy hands, but he drew on his experience and improving BJJ skills to stay a step ahead of his adversary on home soil. When he latched on to Calim’s head in a scramble, the Indonesian karate champion tried to pick up “Papua Badboy’s” leg to take him down, but Mattheis pulled guard, trapped Calim’s arm, and left him with limited defenses to work against the squeeze. The 25-year-old then tightened up the guillotine and forced the tap for a record-breaking triumph. The ONE Strawweight Indonesia Tournament Champion will improve his numbers when he goes up against Himanshu Kaushik in Jakarta. Get a taste of the greatness you can expect to see when ONE returns to Jakarta, Indonesia. Get ready for some sensational striking when ONE Championship returns to Jakarta, Indonesia on 3 May.